Our vision is to be a leading energy broker in the Texas electricity market by being professional and dedicated supporters of our clients. 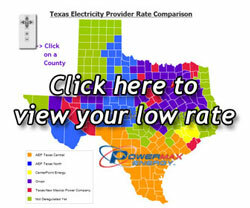 Our goal is to give Texans a lower electric rate and to make contributions to an efficient energy market. The need for properly trained professionals in the electricity market is huge. Our role as an objective service provider working with multiple supply companies makes us a unique partner for small to large electricity consumers, both residential and commercial, who want a professional electricity evaluation, quote and agreement that is perfectly suited to meet their unique needs while getting the lowest rate possible.